American Income Life | WordPress Blog | American Income Life Insurance Company (AIL) was built on the premise that social justice and activism should remain key components of the business. We’re sorry, but this blog from American Income Life has been discontinued. Please read more American Income Life (AIL) blog posts on the Official American Income Life Blog mylifeatail.com. Life keeps us all pretty busy. Between jobs and family life, there’s often little time for anything else. Sometimes we have so much to think about and accomplish in a day or a week, it’s almost overwhelming. You can alleviate one important area of concern, though … life insurance. And you can do it easily and cost-effectively. It’s so important to have appropriate life insurance in place NOW to protect your family in the future. And once you have it, you don’t have to think about it. It’s one concern you can check off your list. With appropriate life insurance from American Income Life, you don’t have to worry about your family’s financial future if you are no longer there to provide for them. Your family could still pay the mortgage or rent each month. Your spouse could still make the car payment each month. Your family could still pay your son’s or daughter’s college tuition and living expenses. All the hopes and dreams you and your spouse had for your family could still come true. What an amazing legacy to leave to your loved ones! No matter what your age or your circumstances in life, protecting your family from future financial hardship is always a top priority. American Income Life can make it easy. Go to www.ailife.com. American Income Life – Would you be prepared in case of an accident? According to the Centers for Disease Control and Prevention (CDC), in 2010, 282,000 teenagers ages 16 -19 were injured in motor vehicle accidents. 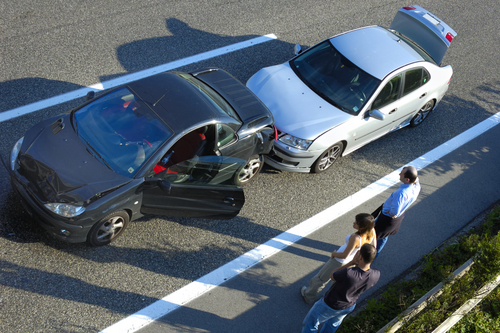 If you’re a teenager or the parent of a teenager, an auto accident could be in your future. But, accidents don’t just happen behind the wheel. Hiking, skiing, swimming, biking, rock climbing, boating, running, skateboarding, playing school sports, etc., can all result in injuries. Working out too strenuously at your local health club can result in injury. Climbing up on a ladder to wash your windows or bending over to weed your garden can result in injury. For Seniors, falls are a major cause of injuries. According to the CDC, one in three Senior adults fall each year, and in 2010, 2.3 million of these Seniors were treated in emergency rooms. The point is, whether you’re a teenager, a Senior, or somewhere in between, an accident can happen to you … anytime, anywhere, and anyplace. Unfortunately, sometimes these injuries are serious. Would your family be able to pay its bills if you were injured and unable to work? Accidents happen in an instant, and the lives of your loved ones can be changed in that same instant. Protect your family’s financial future with an accident policy from American Income Life Insurance Company. It pays cash benefits for accidental injuries, is guaranteed renewable, and cannot be canceled as long as your premiums are paid on time. If an accident is in your future, you can be prepared with American Income Life! National Life Insurance Awareness Month (LIAM) is sponsored by the nonprofit Life Foundation and takes place each September. Its purpose is to create awareness of the need to purchase life insurance. Every year a celebrity spokesperson is the face of the event and tells the story of how the loss of a family member impacted his or her life. A few years ago, it was NBA star Lemar Odom, who lost his mother as a young boy but was able to follow his dream because of the care of his grandmother and the life insurance policy his mother had provided. Last year it was Buddy Valastro, the star of the TV reality show, ‘Cake Boss’. Buddy’s father died very suddenly when Buddy was a teenager and left the family with no life insurance. That loss helped Buddy recognize the importance of life insurance at an early age. It’s not September yet, but any month is the right month to think about life insurance and to encourage the purchase of life insurance. And you don’t have to be a celebrity to do it. Whether you purchase a whole life policy or a term life policy, the important thing is to purchase a policy. You never know what the future holds, and there is nothing more important than protecting the financial future of those you love. Love is the strongest force in the universe. From the moment you are born, the love you feel and the love you receive is the most defining influence in your life. One way to demonstrate that all-encompassing love is to provide financially for the people you love if the event you’re not there. When you purchase a quality term or whole life insurance policy, it shows your love. Involve your partner, who will likely be your beneficiary, when you make the decision about what type of coverage you purchase and the benefit amount. Your insurance Agent will be there to help guide the process, but the ultimate decision is up to you and your significant other. Find a quality company to make your life insurance purchase. American Income Life can be the perfect choice. It offers term and whole life products to suit any lifestyle or budget and has a long-time industry reputation for strength and stability*. 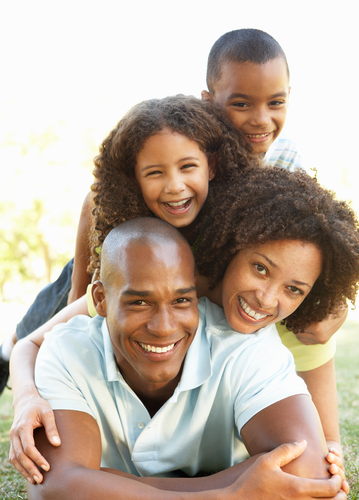 Encourage friends and family members to purchase appropriate life insurance coverage too. No matter what their age or stage of life, it’s a wonderful way to spread the love! American Income Life – Life happens! You can’t escape the fact that life happens, even on those days when you wish it didn’t. Sometimes it’s good. You get a promotion at work. Your child comes home from school with a great report card. That pair of slacks that had gotten too tight suddenly fit. But sometimes it’s not so good. You get a flat tire on the way to work. The annual raise you hoped for didn’t come through. Your child gets a sprained ankle on the school playground. These are the everyday issues of life. We deal with them as best we can and move on. But when tragedy strikes, it can turn your world and that of your family’s upside down. The death of a loved one can devastate a family emotionally, but it also can devastate a family financially, because the loss of a mother or father means the loss of their income too. If your family lost its main breadwinner, how would it affect your family’s lifestyle? Would they be able to pay the rent or the mortgage next month? Would they have money for your daughter’s college tuition next year? Would they have adequate income to pay for daycare, groceries, utilities, etc? Life is expensive, but life insurance is not. American Income Life Insurance Company offers quality term and whole life products to provide your family with the financial support they need if you are no longer there. Don’t wait to purchase appropriate life insurance coverage, because life happens … whether you want it to or not. Go to www.ailife.com to learn what American Income Life can offer YOU. March is Women’s History Month, a time to honor the great women of this county who made an important contribution to the development of our nation. Whether their contributions were in sports, entertainment, humanitarian endeavors, politics, etc., we are better because of them. So why are we not providing women the same protection we provide men? We talk a lot about the importance of having appropriate life insurance coverage to protect loved ones should the unthinkable happen to the breadwinner. But how often does that talk apply to women? Not nearly often enough! Men aren’t the only breadwinners for whom we should be concerned. Some women are single mothers and the sole support of their children. What happens to those children if they lose their mother? Some women earn more than their spouse. How would a family’s lifestyle change if the woman’s income was suddenly gone? Did you know that women comprise 49 percent of the workforce? However, according to LIMRA, 43 percent of them have no life insurance. And those who have life insurance coverage have policies with 31 percent less coverage than the average male’s policy. It’s time to come into the light of the 21st century. Women need life insurance just as much as men do, and they need it NOW! American Income Life Insurance Company is waiting to help.